This show is unique in that it is just Brendan on shaker and Scott on keyboards. Ricky was driving the van to Seattle for the tour and it broke down en route leaving the other two to fend for themselves for this one show. 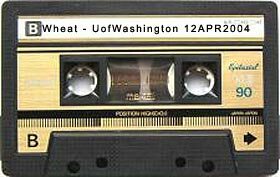 It was recorded by the AV department at University of Washtington.